The Unexpected Twists and Turns: Publishing: What If...? The three-judge panel, made up of two men and one woman, said that it was Foran's "clear voice, conveying a unique personality and tone, that set his work apart. Add to that an incredible eye for detail and mood." More subjectivity, but that's the nature of the beast isn't it? In the 10 years of the Charles Taylor Award has existed, eight winners have been men and two have been women, one of whom was Carol Shields. As many of you have noticed, there has been an explosion in the number of awards being given away to the "best" and "most important." Right now the CBC has it's Bookies, which we can all go online and vote for. I guess the growing number of contests, awards, prizes and galas, is another way to hedge our bets and find "the best." This is no criticism, as I'm short on time like everyone else and do the same thing myself. We live in a society with an increasing amount of choice, a selection so vast that it boggles the mind. The last thing we want to do is pick a dog of a book or waste our money on a mediocre film, so we look for the winner of high profile awards, the vast majority of which, in the publishing world at least, go to men. 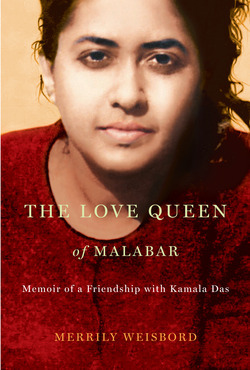 I scrolled through the other four finalists in the 2011 Charles Taylor Award and stopped at the lone woman contender, Merrily Weisbord, for her book the Love Queen of Malabar, the story of Weisbord's 10-year friendship with Das Kemala, the first Indian woman to write an autobiographical cult classic about love and desire. Das Kemala has been referred to by her fans as "The First Feminist Emotional Revolutionary of our Time." Sounds compelling. In addition, Weisbord has written for television as well as four other books. I had enough evidence that this book could very well be "the best" and "the most important." I immediately went online and bought the hardcover edition. As for the winner's book, I have nothing against Mordecai Richler or the author of Life & Times. In fact, I have fond memories of reading the Apprenticeship of Duddy Kravitz in my Canadian Lit class in high school. And I might read Mordecai: Life & Times, if I found it at the library. I'm sure Foran won't mind. After all, he has $25,000 to console himself with. I started to think about this as a form of protest against the unfair sexist practices in the publishing world. What if we paid full price for books written by women and borrowed the books authored by men from the library and friends, or picked them up used? As women make up the lion's share of avid readers, we hold the balance of power. We could have our own little girlcott until publishers felt the pinch and started to change some of their unfair practices. I realize that this may not start tomorrow. But it may pick up some momentum when more people realize that we are living in a far from egalitarian society, particularly in the publishing and entertainment industries. PS, On Friday, it was reported in the National Posts that the sales of the Best Laid Plans, the 2011 winner of the CBC's Canada Reads series, had increased by 695% in one week. : Publishing: What If...?Tweet this!